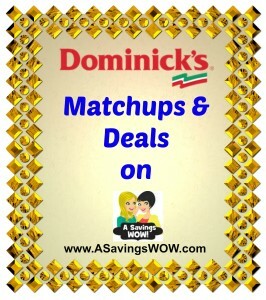 Dominicks Matchups and Deals | A Savings WOW! When you buy 4 participating products using $1.00/1 coupon. When you buy 4 participating products using $0.55/2 coupon. When you use $0.55/1 coupon. When you buy 2 using $1.50/2 coupon.